Today we have Chunyuan with this pretty card using our Winter Wreath, Warm Wishes and Build A Banner stamp set and dies. I love the look of these sets together. Gorgeous! 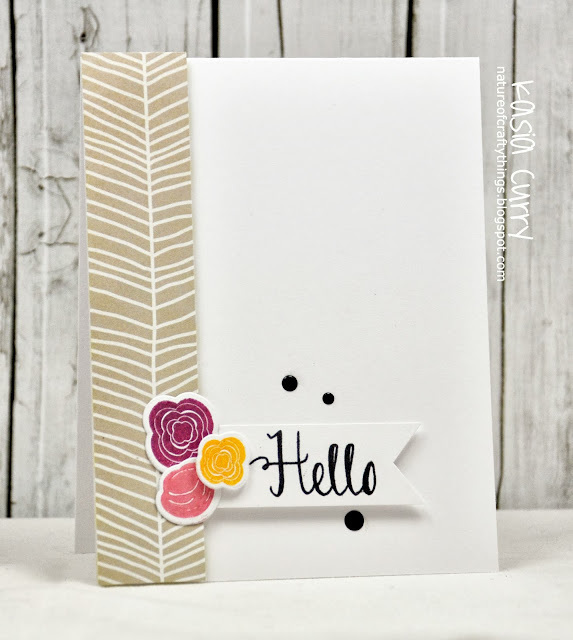 Kasia created this clean, simple and pretty card using our Laurels clear stamps and dies. I love the layout and this serene color scheme. So lovely! The stamps sets on the first card work so well together. And the second card would put a smile on the face of anyone lucky enough to receive it. Nice work! That's the lovely thing about your stamps...they work together so beautifully. It's Our October/November Inspiration Blog Hop!! Eat Drink & Be Merry and You're Awesome! Amazing Inspiration from Nina and Donna! No Project But A Juicy Sneak Peek! !